In the old days, whenever Nike unveiled a highly coveted product, people would flock to its stores, vying to be first in line. Chaos ensued. These days, Nike launches limited edition sneakers almost exclusively online, yet auto-buying bots have begun snapping up shoes faster than humans can type in their credit card details, un-leveling the playing field. 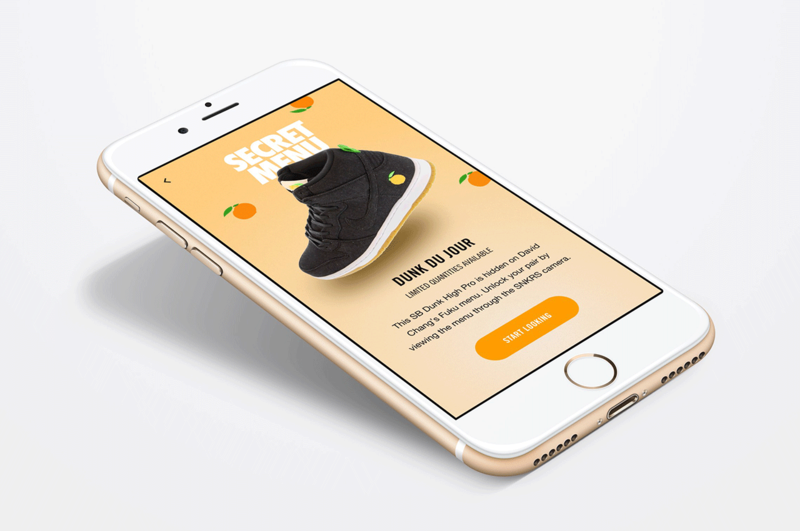 A year ago in New York, Nike’s digital studio, s23NYC, was given the challenge of evolving its SNKRS app for a new generation of sneaker lovers. 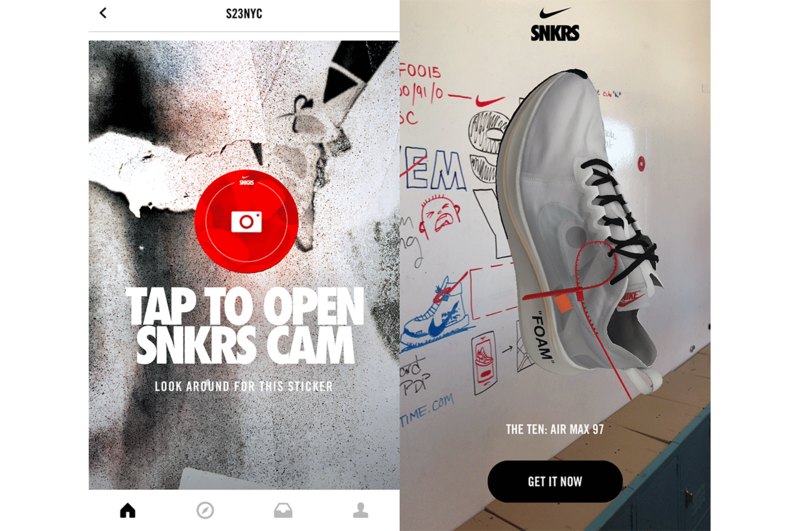 The studio has added AR features to SNKRS, creating new ways of interacting with the brand by mixing digital objects with the real world. 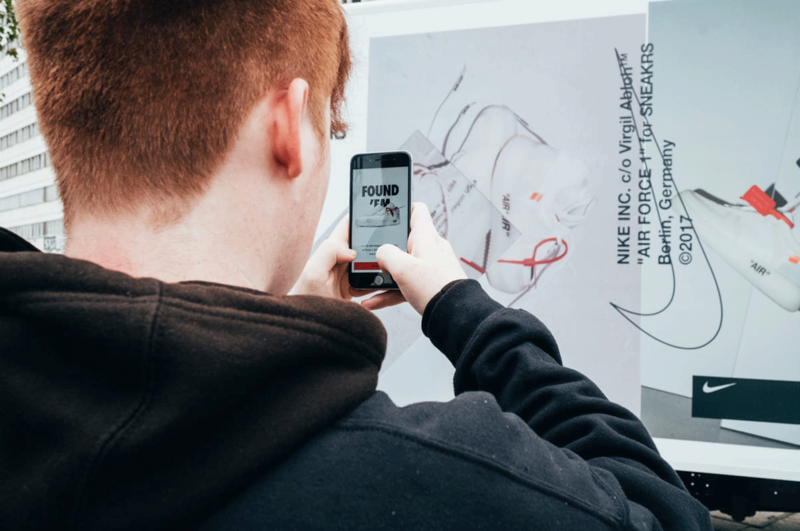 Nike has now trialled augmented reality in New York, Chicago and Berlin. 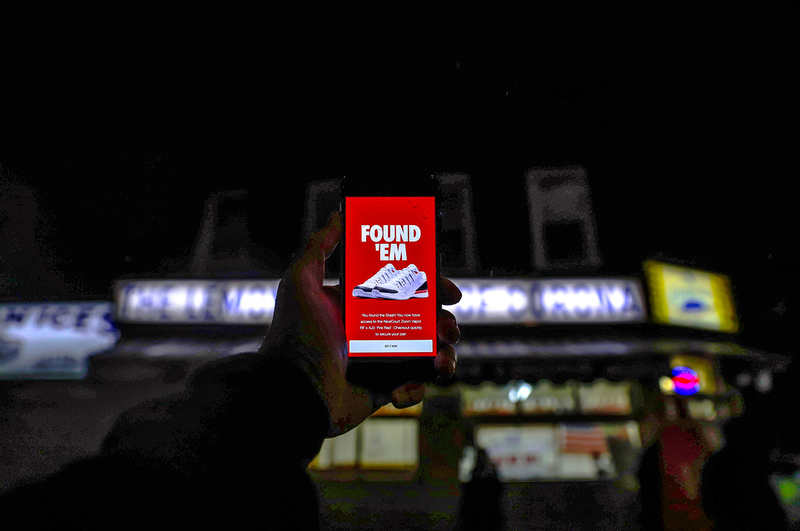 Sneaker devotees simply search for posters, stickers or clues hidden around the city. Taking photos of real-world objects then ‘unlocks’ the product for sale, and it’s this real-world interaction that eliminates bots from the buying process. 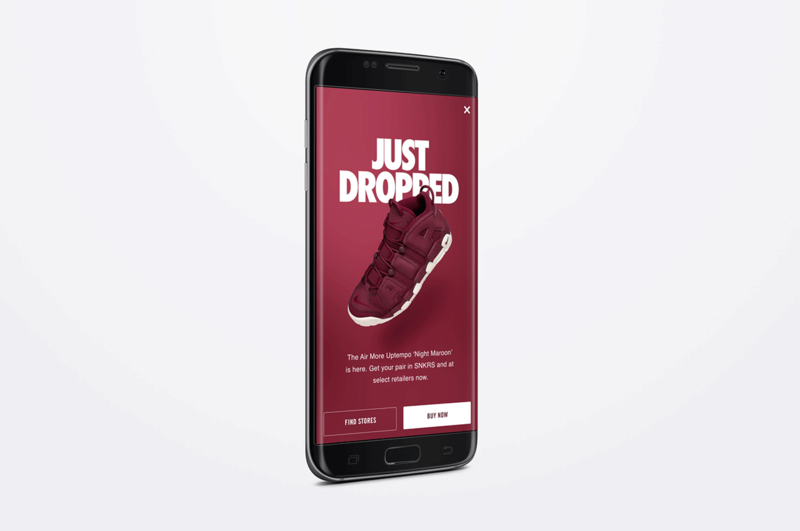 Nike is on a mission to increase fan loyalty by crafting ultra-personal brand interactions. Adam Sussman, Nike’s Chief Digital Officer, told Engadget: “We’re moving to a world of serving consumers one to one”. This is its real motivation for experimenting with AR – warding off bots is an added bonus. Nike is on a mission to increase fan loyalty by crafting ultra-personal brand interactions, and AR is the perfect tool to achieve this. 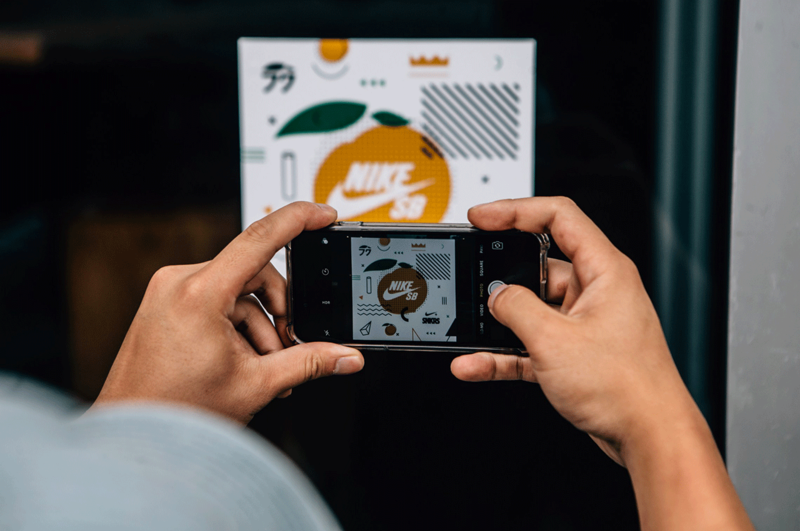 S23NYC is Nike’s first digital experience studio and describes itself as “the driving force behind some of the brand’s most memorable moments”. Its experiments will pave the way for other brands to experiment with AR more bravely and rethink the path to purchase. SNKRS will soon launch in China and Japan.